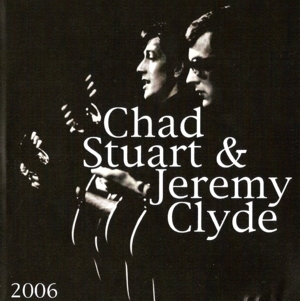 This CD was initially available only at their 2006 live shows. Included are six previously released tracks (all but "Distant Shores" sporting brand new remixes), plus a massive nine completely new tracks. Like its predecessors, it is not a factory pressed CD, but rather a very limited edition CDR printed to demand. It is packaged in a slimline case like a CD single. It sold out on Electric Paintbox within only about a month of being made available online, and has been the best selling tour CD to date. This CD-R was available at C&J's 2006 concert gigs and is no longer available, although several of these tracks were re-worked for the ARK-eology album and can be heard in their final form on that CD.